Capital Drilling are excited to announce a new initiative that is believed to be the first of its kind in Africa and provides National employees with an exceptional opportunity to further their careers. 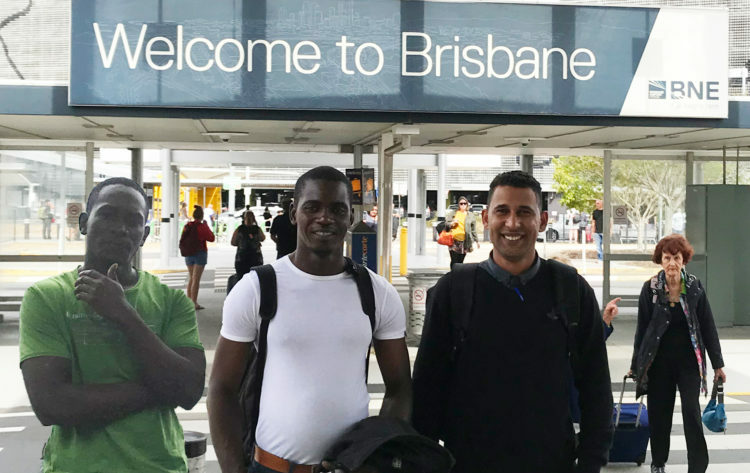 For the first time, three African employees have been awarded the opportunity to complete an international apprenticeship and will travel to Queensland, Australia to complete their Certificate III in Engineering – Mechanical Trade at Cairns TAFE. Once completed, the employees from Egypt, Mauritania and Tanzania will achieve an internationally recognised qualification that will provide further career opportunities - not just in their home countries but across Africa and around the world. This initiative forms part of Capital Drilling’s ongoing strategy to provide considerable training and professional development opportunities for its employees. The initiative has taken some two years in preparation and planning, working closely Cairns TAFE to ensure the attendees met entry-level requirements and with Australian embassy staff in Africa to streamline Visa approvals processes. The certificate will take three years to complete, with the candidates spending a total of 16 weeks in Australia studying at Cairns TAFE campus. Additionally, on the job (OTJ) training will continue throughout the course and will be signed off by approved certified tradesman as competency in each module is demonstrated. Capital Drilling plans to offer the program to a minimum of three employees every year with candidates chosen from the company’s operations across Africa. The company will cover all costs associated including course fees, travel, meals and accommodation.